Babies drool. It’s a fact of life. Pediatrician Tanya Altmann explains how more often than not, you will find saliva dripping out of your baby’s mouth. - Babies drool. Most babies continuously have saliva dripping out of their mouth, because they don't yet know how to control it, and that's okay, but, sometimes, the persistent wetness on the chin, on the cheeks, and on the neck can cause what's called a drooling rash, and it's simply skin irritation due to the persistent wetness. So, what can you do to treat it or even prevent it from occurring? Well, I recommend a thin layer of Aquaphor or petroleum jelly on the areas that tend to get dry. If they're really red and chapped, you can use that several times a day for a few days in a row. 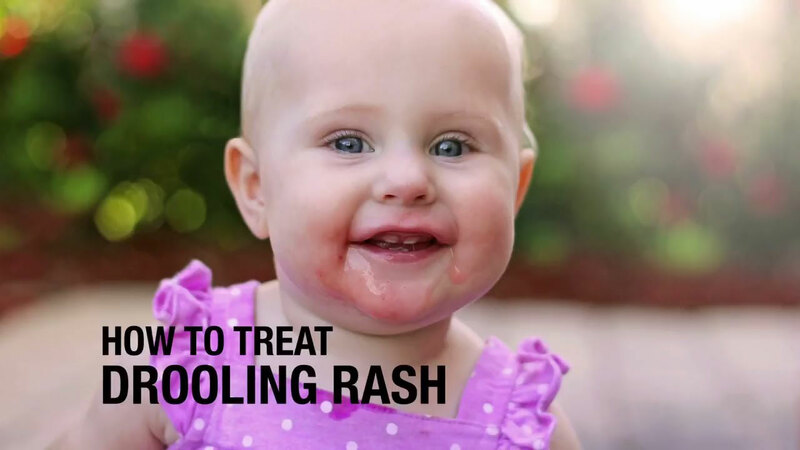 And, rarely, if the rash is persisting and not getting better, you may need to show your pediatrician, because, once in a while, there will be a secondary infection with a yeast, or sometimes even such severe irritation that a low-dose steroid cream is needed. But, in general, a little bit of Aquaphor, petroleum jelly, wipe up that drool when you see it, and your baby will be fine.